We all want our homes to be that “special place” — the place where we raise our children, entertain our friends and family, and create a lifetime of memories. Castle Brook Builders knows the importance of your home dreams. We’ll provide you with the necessary tools to personalize your custom-built, luxury home with the special qualities you call your own. Our interior designers will help you create the perfect home for your family. With a wide range of exclusive floorplans, elevations, and home styles, we’ll tailor one to perfectly express your personal style. You can customize many amenities to reflect your tastes and lifestyle, including gourmet-style kitchens, spa-inspired bathrooms, and expansive indoor-outdoor living spaces. Each of our homes has distinctive exterior detailing, so your home’s first impression is unique and enduring. No home looks exactly like another, even if it’s the same plan. Our floor plans are available in several elevations, with bump-outs, extensions, and many other customizable options to help make your home distinctively your own. We have models available for touring in a variety of floor plans including ranch, 1.5-story and 2-story homes, in styles from contemporary to modern. Each of these specially chosen design themes highlights that extra bit of class that every luxury home owner craves. With our pre-priced options, you can easily and efficiently customize both your home’s exterior and interior design to suit your needs. We can also re-design any of our existing plans or craft a plan from your own design ideas — whatever it takes to make your home dreams come true. Our in-house, professional architects and designers will help ensure your home is your own unique masterpiece. Building a new home is a time of excitement and anticipation, but it can also feel stressful and overwhelming. At Castle Brook Builders, we understand this! We build homeowner check-points into our timeline to ensure that you are comfortable with each phase of the design and build process. (And it also gives you opportunities to celebrate the progress along the way – because we know that’s important, too!) From your first meeting with our builder through all subsequent design appointments, plan reviews, construction inspections and homeowner orientation, our experienced professionals will answer questions and ensure you experience the service excellence associated with the Castle Brook name. For over 10 years, Castle Brook Builders has been dedicated to creating luxury, custom homes with attention to detail. 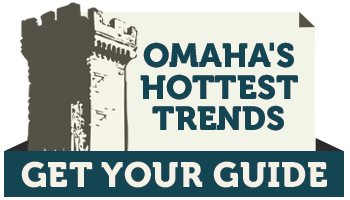 How does Castle Brook continue to be one of Omaha’s premier luxury home builders? In addition to ensuring our core values of quality, professionalism, and design-build expertise, we are continuously exploring new construction materials and techniques to incorporate into our homes. We then call upon our professional partners, from architects to engineers to energy consultants, to help us design more efficient and livable spaces. We will the find the perfect combination of space, function, location, price and community to build your new home in Omaha, Nebraska. It is time to fulfill your dream of having your own custom built luxury home. Let Castle Brook Builders help make your dream home a reality!